Regional information, advice and recommendations to VCASP/DHS related to ABI service provision within the Eastern Metropolitan Region. For further information about the network, or to add your details to the email distribution list, contact BrainLink. 44 Lakeview Drive, Scoresby, VIC 3179. 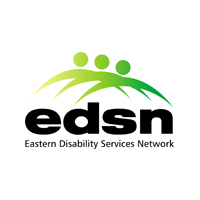 The Eastern Disability Services Network (EDSN) brings together a range of disability services in the Eastern Region of Melbourne. The network aims to take a lead role in moving the disability sector forward, continuing the disability reform agenda and the reorientation of service provision. EDSN members have responsibility for strategic development (CEOs, General Managers) and program management (Program managers) in their organisations.